THE admission by Prime Minister Mrs. Theresa May that the Jallianwala Bagh massacre was a “shameful scar” on British Indian history, is quite in order of goodness, but incomplete because she has avoided expressing her nation’s apologies for the tragedy that took away nearly 2,000 lives a hundred years ago just because a power-drunk officer instructed blocking of the only entry-exit point at Amritsar’s famed location and ordered indiscriminate firing on a peaceful mob of protesters. Though the Jalianwala Bagh massacre was described by historians and thinkers as one of the worst in human history, British Government, as such, had refused to say anything by way of remorse in the past one hundred years since its occurrence. And now also, even as she admitted the tragedy to be a shameful scar on British Indian history, Mrs. May has avoided apologising to the Indian nation. Her acceptance of guilt will have little meaning if she does not say “sorry” to India. But then, it is only futile to expect such an apology for just one massacre. For, during their advent into India and subsequent total control on the country, the British indulged in countless acts of ruthlessness that often crossed into the zone of cruelty. During the first War of Independence in 1857, the British Generals indulged in mass killings of thousands of Indian persons -- Hindus and Muslims -- above the age of 14 in Kanpur and Lucknow just because those cities joined hands with India’s freedom-fighters. Such mass killings became an integral part of the British idea of crushing the armed opposition which the Indians mounted. Each of those acts deserved an apology from the British to India as a nation. We cannot also forget what the British did to India’s education, industry, agriculture and culture and history. They looted Indian wealth and distorted history and obliterated a great culture -- on purpose, as victors, as they wished to rule the country for a long time. To facilitate their own rule, they did establish some modern systems, not as part of their benevolence but as tools to firm up their grip on India. That India benefitted by some of those arrangements and used those as it gained Independence after a struggle of 150 years, is another part of the larger story. But when they controlled India, the British did not check themselves from indulging in acts of cruelty and oppression. For all those acts, they must apologise to India. Yet, in actuality, India need not insist upon mere apologies. For long ago as it gained Independence, India pardoned the British in the highest tradition of human benevolence and moved on to become an important entity in the comity of nations. Now, India has proved itself to be a fastest growing economy in the world and also as an emerging military power in its own right. The world is recognising India’s advances in multiple fields that include outer space and deep ocean sciences. Such a critical mass has India achieved in the past seven decades that the world has to take notice of whatever India does. This might not have come in a split second, but it did come after painstaking and focused efforts of the Indian people. India may still be needing to do a lot of work in many fields, but its trajectory is upward and surely leading it to higher zones of national achievements. 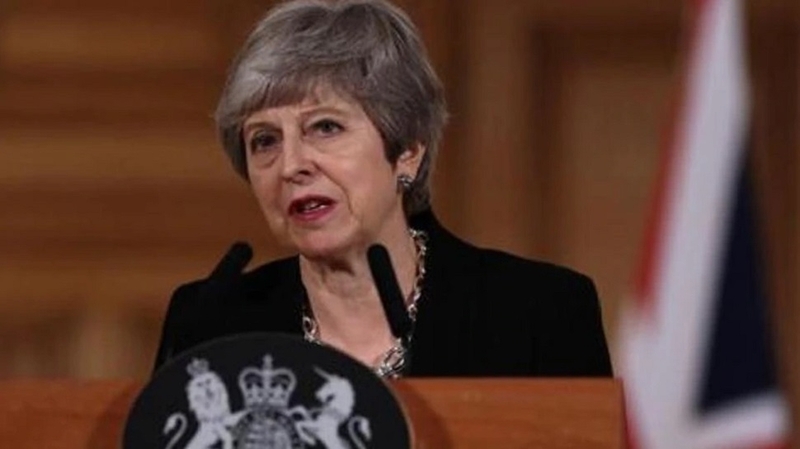 Yet, at this point when Mrs. Theresa May is saying that the Jalianwala Bagh massacre was a shameful scar, we wish to ask for an apology from her country to the Indian nation. We have already pardoned Britain for all its sins against us. Yet, we feel that a sincere “sorry’ would be in tune with the line of decency and dignity. That would forge better friendship between India and Britain. That will make common people in India feel good about their goodness of having pardoned the British for all their sins of commission and omission.